Francisco Goya’s highly emotional images of suffering and despair were an important influence on later artists of the Romantic era. In his public life, Goya was a renowned artist who painted numerous portraits of the Spanish elite. His career reached its high point when he was appointed official court painter for King Charles IV. 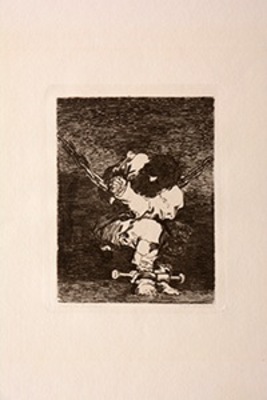 Privately, however, he was working in a very different style, creating small works that were not publicly exhibited, including The Little Prisoner. These works focus on the dark side of humanity, exploring themes of helplessness and confinement, suggesting that the Enlightenment had not lived up to its promise.